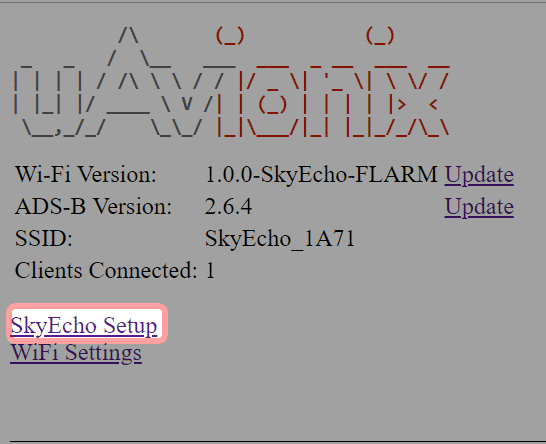 To connect to the SkyEcho 2, power on SkyEcho 2 and join a device to the wireless network SSID named SKYECHO-XXXX using the procedure for your device. This procedure is identical to joining any other public or private Wi-Fi on your chosen device. If required, enter uavionix as the WPA password for the secure Wi-Fi network, then tap join. Note: The No Internet Connection message is normal when connected to SkyEcho 2. 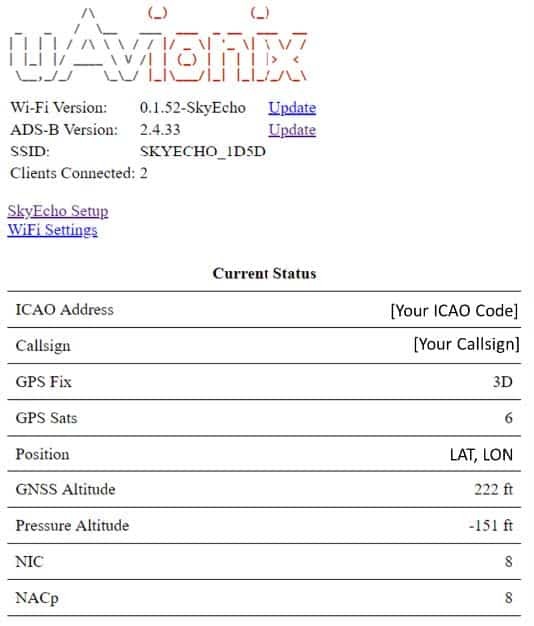 Open any browser on your computer/mobile device that is connected to your SkyEcho 2 via the Wi-Fi link and type 192.168.4.1 in the address bar. After the process completes the SkyEcho 2 will restart and return to the . You may need to reconnect to the SkyEcho Wi-Fi. FLARM reception must be supported by your Electronic Flight Bag to receive visual and or audible alerts. Review your EFB documentation and support for more information.